We travelled across the Apennines yesterday to Assisi, of which more in due course. We stayed the night high in the mountains above Assisi, about 10km from the town. During the evening the clouds rolled in and I took this image. Needless to say, three hours later we were right underneath an enormous thunderstorm. 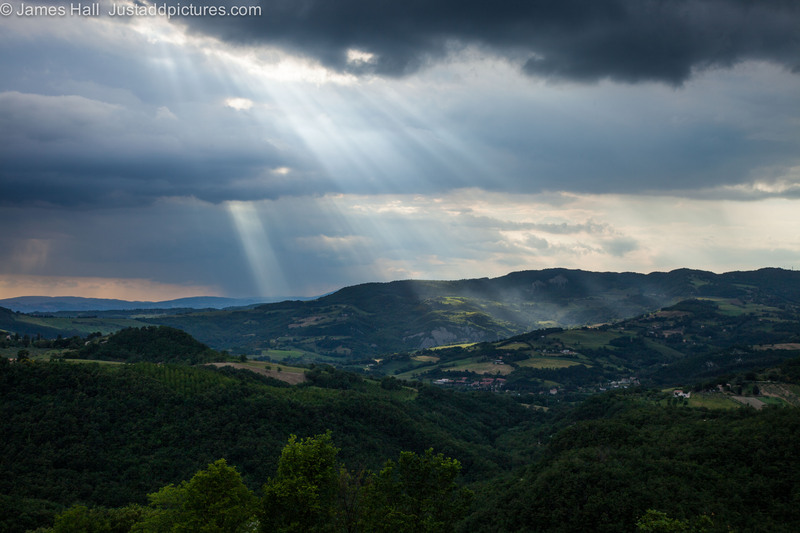 Posted in Italy, Landscape and tagged Assisi, landscape photography, Parco del Monte Subasio, photography, photos. Bookmark the permalink. I am wondering if I could possibly use your photo* in a small nonprofit paper I am a part of. It’s for – and by – people with some sort of mental health problems at an ”activity house” in Gothenburg, Sweden. The paper is called Iver and is part of ”aktivitetshusen i göteborg” (social resursförvaltning). None of us who makes the paper gets paid, but it’s very fun! The paper is handed out to other activity houses, some mental health facilities for free. The poem that would accompany this beautiful picture you have taken is about an train ride in Assasi, where the person realises that his love left the bad feelings in the mountains and has grown because of it. So if you are okay with this: have you kept a larger size of the image? I will write your name underneath the picture. Do you need me to also write that you have a homepage? It would be somewhat clunky, but if need be I will make it work! *I meant to write Assisi.